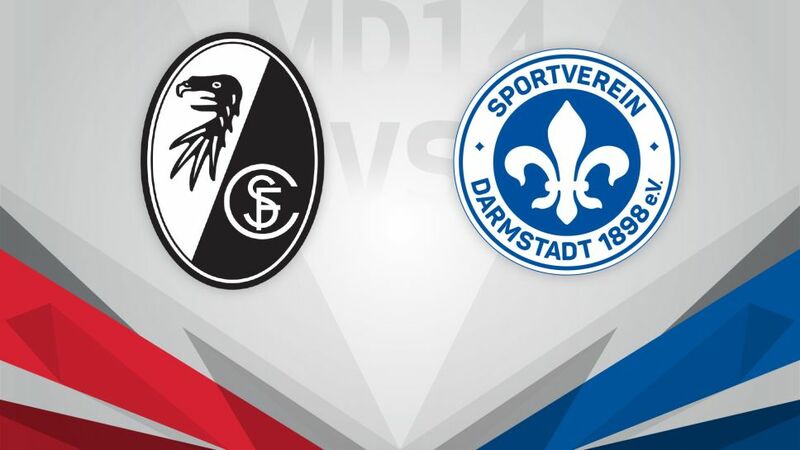 Life after Norbert Meier begins with a trip to SC Freiburg's Schwarzwald-Stadion for lowly SV Darmstadt 98 on Saturday (kick-off 15:30CET/14:30GMT). Have you got your Official Fantasy Bundesliga team ready for Matchday 14? If not, click here. Meier was relieved of his duties as head coach following a miserly run that culminated in a fifth successive defeat - at the hands of Hamburger SV on Matchday 13. Academy chief Ramon Berndroth has been ushered in on an interim basis, looking to arrest a worrying slide that has seen the Lilies plummet to within one point of the automatic relegation zone. Hosts Freiburg are sat comfortably in mid-table almost halfway into their first season back in the big time following a one-year absence. Die Breisgauer got off to a flying start - aided and abetted by four home wins on the trot - but they have lost three of their last four and were more than a touch fortunate to come away from Bayer 04 Leverkusen's BayArena with a draw last weekend.